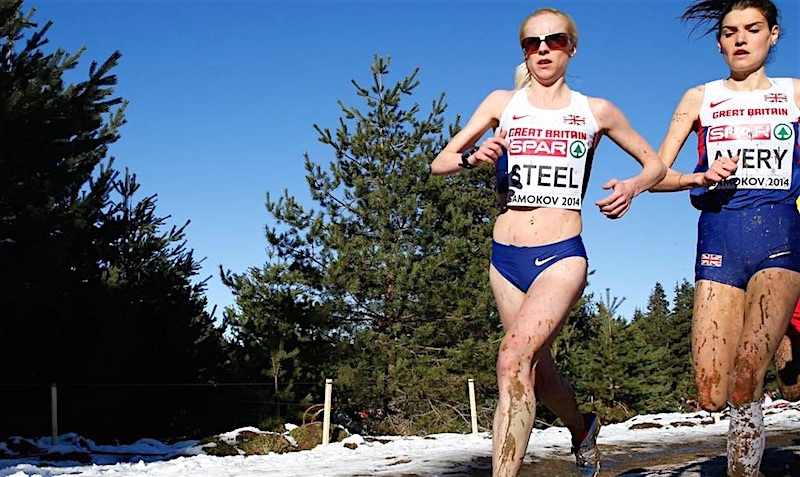 Gemma Steel, the 2014 European Cross Country champion and four-time European team gold medalist, tells Fast Running why cross country season is her favourite time of year, and shares some of the wisdom and insights gained throughout her years of mud and undulating hills. It marks the end of the track season for many, but for me, it is just the start. Going into the winter tends to bring out the best in me. Perhaps it’s those dark dreary months where motivation needs to be at its highest and the challenges of battling against the elements and preparing myself for what lies ahead really counts. Or perhaps its the thrill of competing on a level playing field (pardon the irony!) where tactics aren’t involved and there’s no metronomic track where everything is left to who has got the best kick at the end. Cross country is a true test of strength, grit and determination. No glamour, just mud, sweat and tears. It’s my first love! But, as you know there is a fine line between love and hate, and my relationship with it has been tested to the limit! My first memories of the English national cross country was losing both shoes in a mud bath at Parliament Hill, but I gathered myself and rallied on to finished 16th, helping Charnwood to the team gold medal that day. 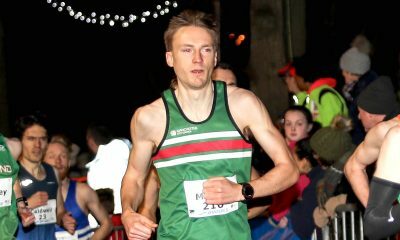 I have progressed from then, but the experience was invaluable and played a part in helping me to grow in cross country, and thankfully return to win two individuals national titles. Suffice to say, haunted by the memory of losing my shoes in the mud, I vowed to never do without wearing duck tape, but even this precautionary measure is not always guaranteed to help, as my shoes and I came unstuck again at this year’s inter-counties. Not my finest moment but that is the nature of the beast though and it can throw up all sorts of surprise’s which is why I love and hate it! Despite our differences, the relationship still remains strong because the shining moments (and you will have yours too) outweigh any mishaps and moments of frustration. One of those moments, that is still with me three years on, was winning the European cross country in Samokov, Bulgaria. I won by the narrowest of margins and it was by far the most thrilling moment in a race I’ve experienced. 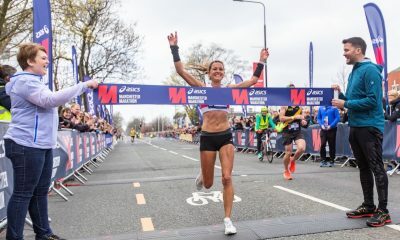 In a race that close I really had to dig in, but I also had an ace up my sleeve (despite wearing a crop top), namely a great piece of advice from my coach. The first piece of advice that I can share is the advice that my coach told me was that day in Bulgaria. He said it’s always better to sprint from behind rather than the front. Even when I was tempted to go, I held off and thankfully I listened, because sure enough, the perfect moment did present itself in the race and I struck. What made that title that much sweeter was knowing that I had prepared well and done everything possible to put myself in contention to win. I put the time into training and I even prepared for the altitude (another thing which was a factor) thanks to the lab at Loughborough. I walked the course three times just to make sure I knew every turn. I became familiar with the course before racing and this helped me judge when and where to make my effort count. Becoming familiar with the course also allowed me to visualise the night before the different scenarios of how the race might play out. I could visualise myself winning, going through the motions, staying relaxed until the crucial moments in the race. I am a big believer in if you can dream it! you can do it! On actual race day, watch the competition, what they are doing and be aware of their breathing. I can always tell if people are struggling by this, and it has served me well in the past. How comfortable you feel in a race will always be down to how well you have trained and prepared. My key sessions will tell me if I am in shape. These are usually mile reps, 1k reps and lots of hills. I am a fan of Dean’s Lane close my home, and it always serves me well after a good old session up there. I aim to run hills at least once every 2 weeks if not every week depending on my programme, but they are the bread and butter and a staple ingredient to my training programme. These can range from 4 mins x 6, 2 mins x 10, or minute one but I always aim to run down as quick as I go up so I am not getting much recovery. The higher your heart-rate the better although I try and keep it simple and just go on the pain value. If it hurts I’m doing it right! 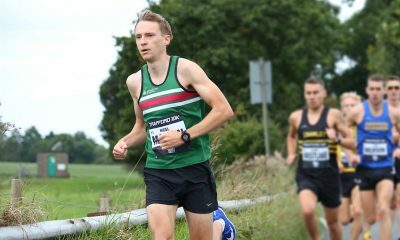 Running is simple and I like to keep it that way and hard work and graft is the way forward. No secrets or shortcuts and being sensible with recovery too is key! In cross country it’s always about grinding down the opposition which is usually my tactic, testing people out and finding out their weaknesses on the course. Some will struggle on downhill sections, boggy sections, and hills, even flat parts of the course. so play to your strengths, but a tip I always try and employ is to stay out of the mud as much as possible for obvious reasons and to save energy. Look for the grass even if it’s a slightly longer route. Your legs will thank you for it because the more mud you carry on shoes is liable to weigh you down and create problems later. I would also advise putting in the right size spikes because in some cross country races, i.e. the Liverpool trials, they have wood bark across the paths and speaking from experience if the bark gets stuck to the spike it can be difficult to dislodge. This can really hinder your performance so the smaller spikes that you can get away with, the better. On some occasions, it can also be beneficial if your spikes are not that sharp. This can help avoid picking up unwanted passengers and nasty blisters, as I found out in 2011. The right socks are also important for this reason to avoid chaffing. Another tip I that I use is if you feel good, make a move and go, don’t hang about. Run on your gut instinct and if people are brave enough to go with you then good luck to them. For the females, if the weather warrants it, don’t be afraid to wear a vest. There is no point for masochism. I have always found that the less energy that you waste shivering the better. Saying that though, I have always found gloves are a great compromise because personally, I have never been a fan of wearing a vest. But if conditions require it do always opt for safety as you don’t want to catch hypothermia. It is always ideal to train and prepare for cross country races by practising in the conditions that you expect in your race or championships, the terrain and climate. This will help you arrive at your race as prepared as you can be. While this is ideal, I know from my experience it is not always possible. Going from a cold and frosty morning at the trials in Liverpool to warm Sardinia or the South of France, is always going to be a shock to the system. Thankfully though, this year’s European Championships are in Samorin, Slovakia, so it might be back to true cross country conditions, and dare I say it maybe even a bit of mud thrown in for good measure! 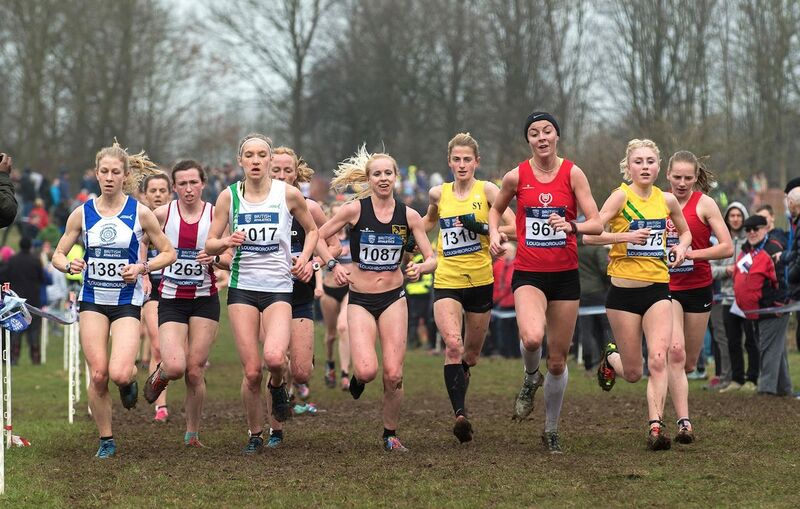 Lastly, remember when it comes to your race, everyone goes through a bad patch in cross country, and if you are feeling the pain most likely those around you are too, so don’t panic and take it in your stride. Pain is temporary and pride is forever, so don’t live with regret, dig in and you will get the rewards later.